Why is your boyfriend so into it?! Every October the NBA season starts anew and, with it, so does another round of NBA Fantasy Basketball. If your man fields a team on the regular, then it’s likely you’ve come across the following terms and phrases: “stats,” “draft,” “draft night,” “stud,” and of course, “fantasy.” It’s also very likely that you still don’t fully understand them, and why he plays in the first place. That’s absolutely fine. Here’s this NBA Fantasy player’s humble attempt to explain this excellent and totally enjoyable game to all the Cosmo Girls who are curious about it. It’s called that because players who aren’t teammates IRL get to play on the same awesome roster—yours! To illustrate, you can have MVP Stephen Curry (of the Golden State Warriors) teamed up with Defensive Player of the Year Kawhi Leonard (of the San Antonio Spurs), and 6th Man of the Year Jamal Crawford (of the Los Angeles Clippers) to all wreak havoc on opposing teams. These players may NEVER get to play on the same team in real life, but in fantasy basketball they can. Okay, tell me about drafts! To get players on your team, you have to draft them. In the world of Fantasy, current real-life NBA players are made available in a pool for your selection. Who you can select to make up your team depends on whether or not someone else gets them before you. And this is decided by the drafting order, which is determined, most usually, by drawing lots. For example, if you draw number one, then you get to choose any player before anyone else. Then everyone else picks, and you wait until it’s your turn again. After drawing lots, fantasy players set a draft night to select their team members. It’s a fun event that gathers everyone together (usually over some pizza and beer) to see who picks who, and for a little friendly jostling and trash talking. Draft night also allows you to take a glimpse into the team strategies of the other participants. But it’s not as serious as you think. It’s a bunch of dudes nerding out over NBA players. When drafting, you want to draft fantasy “studs.” No, they aren’t the players with the hottest bods, nor are they the most guwapo. A stud is a player who can fill the stat sheet—someone who can score points, swish three pointers, dish out assists, haul down rebounds, make steals, and block shots, just to name a few. You want players like this because all those points become part of your fantasy stats for the week. To illustrate: if Stephen Curry scores 40 points in a real life game, then you get 40 points added to your total number of points for the day. More points, bigger chance of winning the points category. The same goes for all the other real-world player stats. Basically, you want to win in all stat categories. There’s no one player that can fill every single category of the stat sheet, so you want to draft a variety of players who aren’t one-trick ponies. For example, if you only draft players who can score, you might be overlooking things like assists, shooting percentages, and defensive stats. It’s better to give yourself a chance to win in more stat categories, and a balanced attack is often the best one. So why are people so obsessed? What’s cool about NBA Fantasy basketball is that as much as it’s strategy, research, and scouting (basically, understanding both the strong and weak points of a particular player,) a good amount of it is sheer luck. One day, your picks might be playing like gods, the next, they might get cold and play like crap. It’s an exercise in managing expectations and knowing what your players realistically can and can’t do. The same goes for everyone else who plays in your league, so it’s like a shared experience for all of you. Aside from that, it’s like owning an actual team: you get to play general manager, owner, and coach all at once. This adds to the fantasy aspect of the game—without spending a centavo! You also get to see what kind of leaders the people you play against are. You see aggression, strategy, tactics, and all of that chess-game stuff by noticing who they draft and who they decide to play when it comes down to game day. Those who are a good judge of character can usually predict the moves of another player, and adjust their rosters accordingly to counter the strong points of another team. And then, again, there’s just plain old luck, which makes the game so unpredictable and fun. In conclusion, we say, just give it a go. 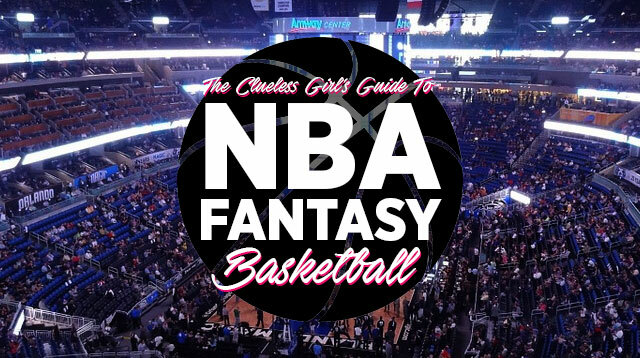 Let your NBA Fantasy-obsessed boyfriend guide you through it all. That’ll put a genuine smile on his face.